Welcome to Drive-In HorrorShow. Enjoy the ride! GREETINGS YEE DASTARDLY, WAYFARING, HORROR LOVING BOILS AND GHOULS! Jerem Morrow here welcoming you to the very first page of the DRIVE-IN HORRORSHOW webcomic series. We hope you've brought a fresh pair of undies and personal funeral money cause buckle up and settle in, it's been nice knowing you! 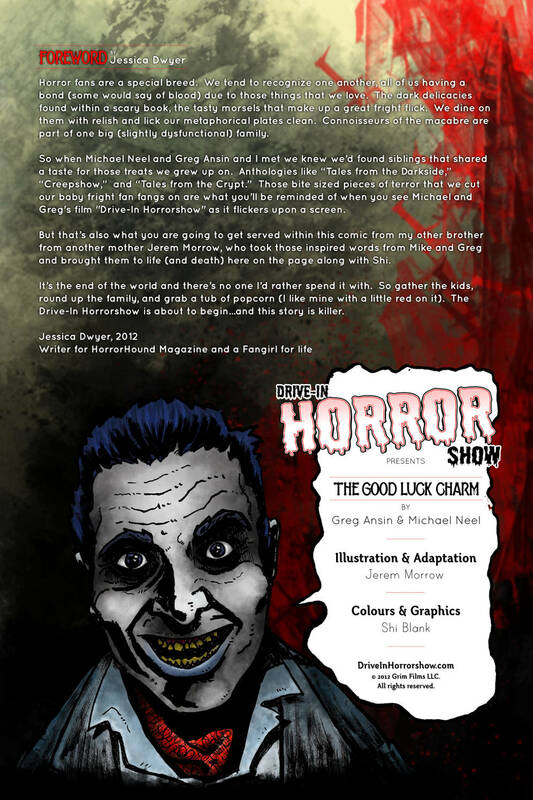 A friend of a friend put me in contact with Neel and Ansin, as they were looking to expand the filmic world of The Drive-In Horrorshow into the comic medium. I peeped their movie and loved it. It was this glorious mix of classic, grimly humorous EC Comics, anthology horror and sincere DIY indie film-making. Straight out, I was on board. All I had to do was convince them I was the right artist for the job so I did what anyone would in a similar setting, I set about sacrificing farm animals immediately. DRIVE-IN HORROR SHOW is a free, weekly comic updated every Friday 9am EST of horrific proportions based on a published comic brought to you by the collaborative efforts of Michael Neel, Greg Ansin, Jerem Morrow and Shi Blank. 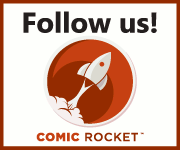 MEET THE CREATORS! Find out more about the sinister beings of the movie theatre and the real protagonists of the show. We do the Twitter too!